Can the payloads be switched between concussion missiles or proton torpedoes? 42 tubes?! So we actually know the yield of those missiles? 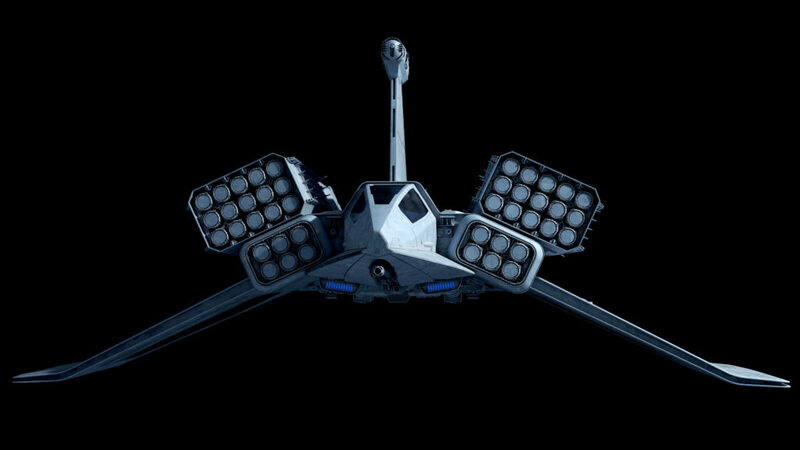 I’m honestly unsure, but have the impression those wingroot launchers crank out anti-fighter rounds, while the big rectangular pods are packed with corvette/frigate-yield projectiles. 10 teraton per antiship warhead, perhaps? 10 teraton seems a little too much. Even assuming a 100% matter to energy conversion, you would need the explosive charge in the missile to be 450 ton. I don’t think warheads (at least for the massive ones) are chemical. As you say the mass conversion would be huge and the warhead bodies are tiny. But the key thing is that they need to store pre-generated energy. I’m not sure how it happens but for missiles to be at all competitive they need to have some ability to contend with turbolaser energy density, which is already pretty crazy. It’s clearly something much more exotic than a chemical explosive. Perhaps warheads are basically a turbolaser output frozen in stasis? That was one interesting theory I’ve seen. What make energy massless is that it travel at c, so even if you found a way to freeze that energy in place, it would just become similar in mass to its equivalent in matter. I’m not really knowledgeable in physics, but I think the only way we could have to circumvent this problem would be for the particles to somehow be able to move at c inside the missile, but without impacting its outer shell which would inevitably make it lose energy. OK we are rapidly approaching the limits of my physics here, but I’m pretty sure energy and mass conversions are not because of how fast anything moves, except that it uses c as a conversion factor. E=mc2, so anything with energy E has a very very small amount of mass – we’re talking 9e16 fold here. Anything with mass has intrinsically a high amount of energy if it is all converted, but we don’t know how SW reactors convert that mass. Much of that mass is complex mass anyway, so it doesn’t interact with realspace as much. That could presumably be how capacitors work. Maybe if you could curve space to make light speed particles go in a continuous circle without impacting their velocity…? I have exactly no capacity for the physics-musing side of this exchange, but will concede that 1/4 of an Impstar Deuce’s main HTL barrel yield (40TT) might be a little much for single missile boat/TIE/alphabet fighter-scale warheads. Would 4-55TT per antiship round sound a little saner? So do the covers on the missile tubes open or do they just fire through a thin cover like some naval missiles? There doesn’t seem to be a cover opening mechanism (not something Fractal would forget, if it’s meant to be there), so it looks like they punch through the cover. I guess they only arm when they’re clear of the missile boat. Yeah, “soft” covers – disintegrate or blow off on launch. 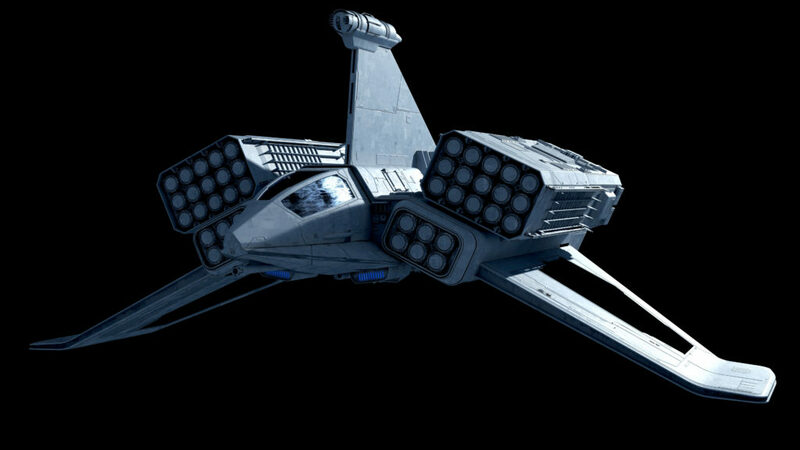 Where these actually useful or did they just not have a TIE Variant to shove that many missiles on? Well the TIE Interdictor is the closest one we got. Then again it would turn into a Torpedo boat. In the games the launchers were modular, and they are here. Oh so is both missiles and torpedos then right? How much do you believe game mechanics? According to that they were developed to counter TIE Defenders, not really as strike assets but they certainly could. I gotta wonder how much missilespam becomes *too* much when trying to swamp a fast fighter *and* retain the ability to catch one. Even factoring in this thing’s Space Afterburner(R), I’d be tempted to slap on the bulk launchers for strike gigs & leave ’em off for interceptor duty. At least your update makes that laser look usefully heavy. 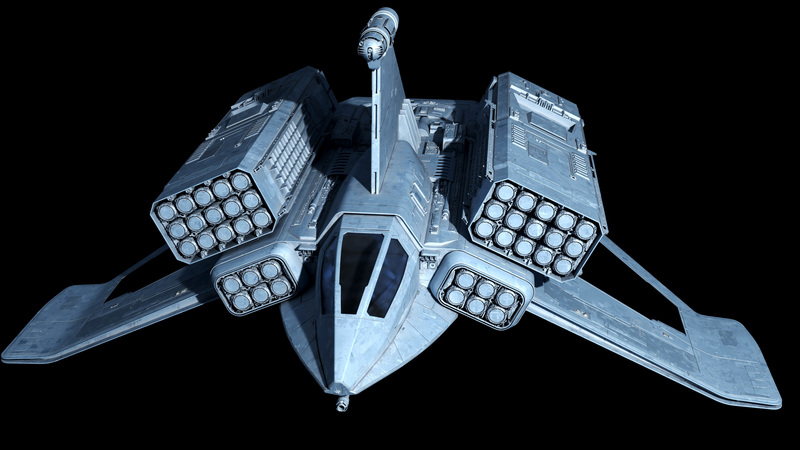 Missiles are probably fairly dangerous but only in an envelope and not universally – a superagile fighter may be able to outpace or at least outlast one in a long chase, or the missile will get jammed hopelessly when out of near distance from targeting data, for instance. 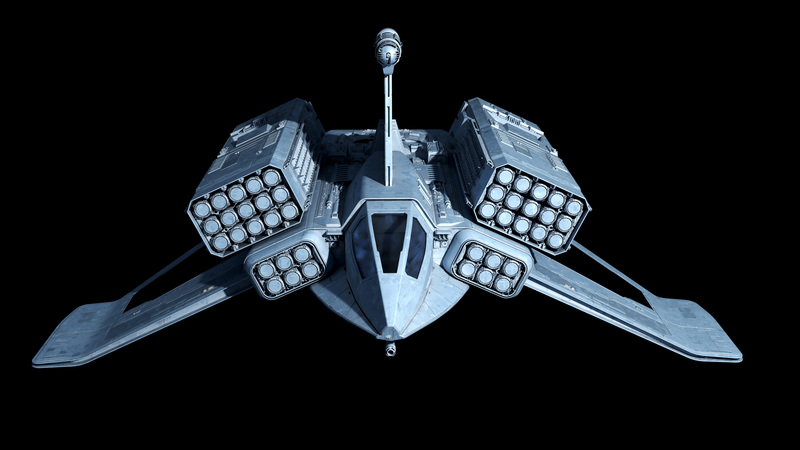 If they had the same margin of efficacy over manned vehicles like modern missiles do over manned fighters then fighter combat in SW would look very different. Your point’s amply corroborated by the Fett/Kenobi Prolonged Cinematic Missile Tail-Chase(R) in AOTC. Projectiles with an AMRAAM-on-current-jet performance edge would’ve cut that much shorter. Suppose that much-reduced performance gap explains the XM-1’s bulk-launcher approach, though I wonder how many frontal-arc fighter targets its sensors could engage simultaneously. Makes sense to me. Though damned if I know how SW datalinks work. All I know is buzzwords. Hm, so you figure SW fire-and-forget weaponry still needs all the help its launch platform and/or target designators can spare? Seems plausible, though I’m still skeptical about figures like Ackbar or Thrawn designing bombers as a sidebar. At least I *hope* the former didn’t sign off on those clunkers from TLJ. 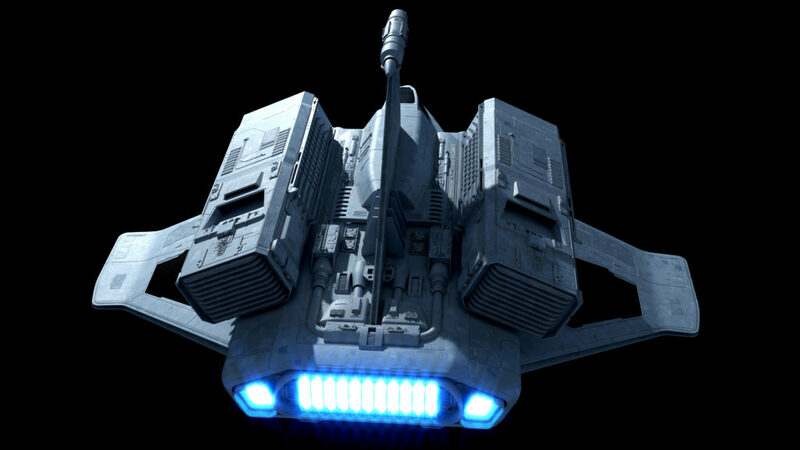 I thought the edge of the missile boat was to have a tractor beam to slow the more agile fighters to make it easier to break them with multiple missiles or a heavier torpedo that wouldn’t normally have an easy time locking on and firing on a maneuverable target. A one ship hammer and anvil method if you will. Questionable if anyone’s designing things rather than babysitting algorithms, by my way of thinking. Short of flash learning-type processes it’s hard to imagine any human can learn enough during a normal standard training period to be able to integrate all the tech properly. 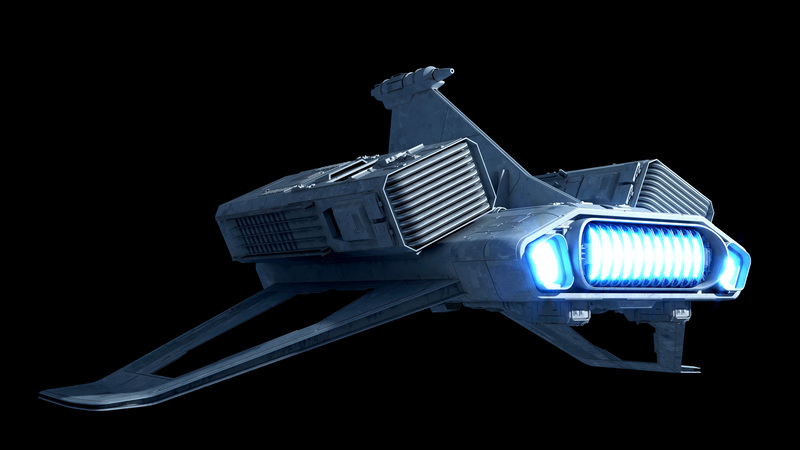 I’m sorry, but I just can’t see how this could counter a TIE Defender, and Game Mechanics, at least in my experience, rarely match up with how it actually works. While it may have been a counter in the game, but I doubt that is how it would actually work. Of course game mechanics are not fully valid. They relied on tractor beam/concussion missile spam. But you need to accept some element of the backstory or the whole thing falls apart a bit. I think it’s more of strike platform, but can dogfight because of it’s missile spam and maneuverability (if not straight line acceleration). Best that can be done with the story I think. But it does look cool. 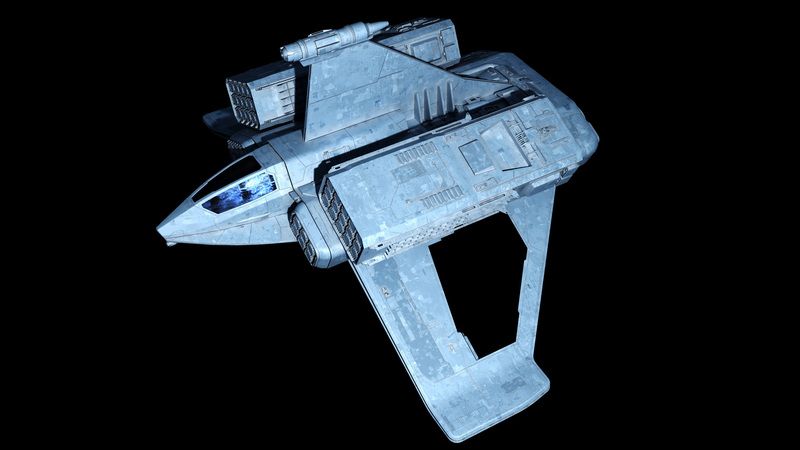 I can buy the XM-1 as a Starwing complement/successor attempting to trade energy weapons (and shielding?) for thrust & stored ordnance. Might even be amply competitive with the top-end alphabet birds sans box launchers, and retain enough thrust to spray off a diversionary torp/CM volley & run if jumped on an attack gig. Still not sure how workable mini-tractors would be in a furball, though I like the option for things like damaged-wingmate salvage or ejected-pilot recovery. You know with these many launcher tubes how many Missile Boats would you need to be a threat to the Imperator? 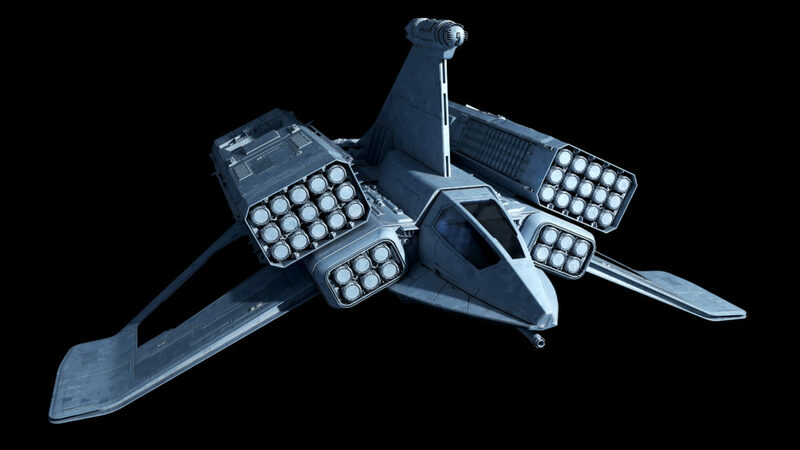 Give or take ten wings, and of course assuming a full loadout of Sun Crusher-vintage resonance torps (if they kill stars, they’ll kill a Star Destroyer, rite?). Actually, the torpedoes are said to be not all that powerful themselves, they can just blow up stars. 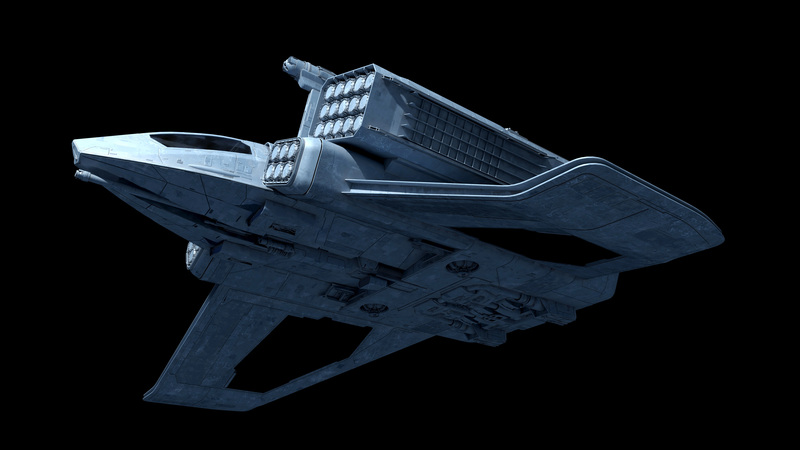 A wing might do it for a Star Destroyer parked in low orbit à la Scarif garrison, but I suspect the relative speeds and acceleration of the XM-1 strike wing and ISD have a lot to do with any perspective missile strike. In open space, a well-handled maneuvering ISD accelerating at 3000g with an active ECM suite is going to be a much harder target, even without fighter support. Against that kind of platform, I’d wager that you’d need 10+ wings and substantial AWACS(SWACS?) support to herd our destroyer into a vector where it can be hit and killed. Can’t help pondering whether those big honkin’ (proton torp?) pods would flow (slightly) better if moved off the smaller (concussion?) missile boxes & directly onto this brute’s upper wingroot. But hey, such was 90s CD-ROM modelling. Incidentally, way to derive a fairly elegant nose & wing shape from said model. For a non-TIE spaceframe, the key problem is maintenance and serviceability. Mounting those huge launch tubes might get in the way of access to the powerplant/engine from the top, which is where routine servicing would occur if these things were launched from TIE racks. That, and it looks cooler this way. Fair point on the ergonomic issues WRT fuselage relocation-perhaps shifting ’em over flush with the smaller pods’ outer sides might be handier (and hey, extra room for paired radiator wings. Everyone loves those). Always enjoy seeing those ships from the old X-Wing games given a fresh look! 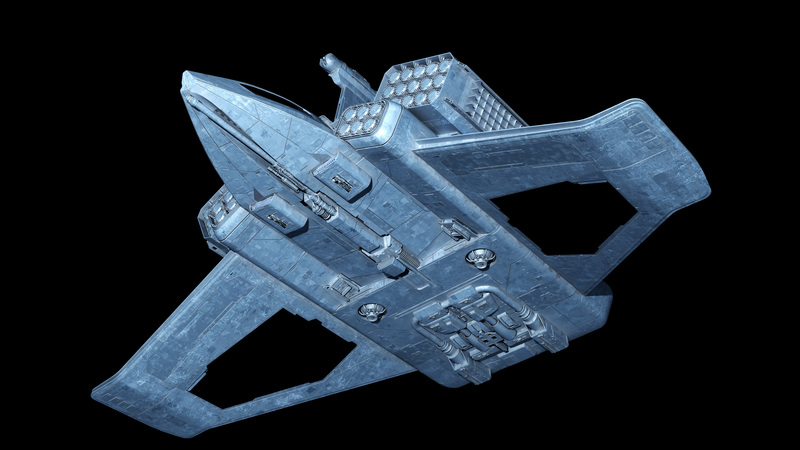 What bothers me a little in this particular design is the small detail texture – it seems somewhat out-of-scale, more fitting to a large capital ship. Gives the ship the look of an old zinc bathtub also. Modelling otherwise is great as always!